The BEST small group for your child to learn ESSENTIAL social skills. The BEST small group for your child to learn ESSENTIAL emotional self-regulation skills to help get on top of those big feelings. The BEST small group for your child to learn ESSENTIAL skills as they cope with leaving primary school and get ready for the opportunities and challenges of high school. 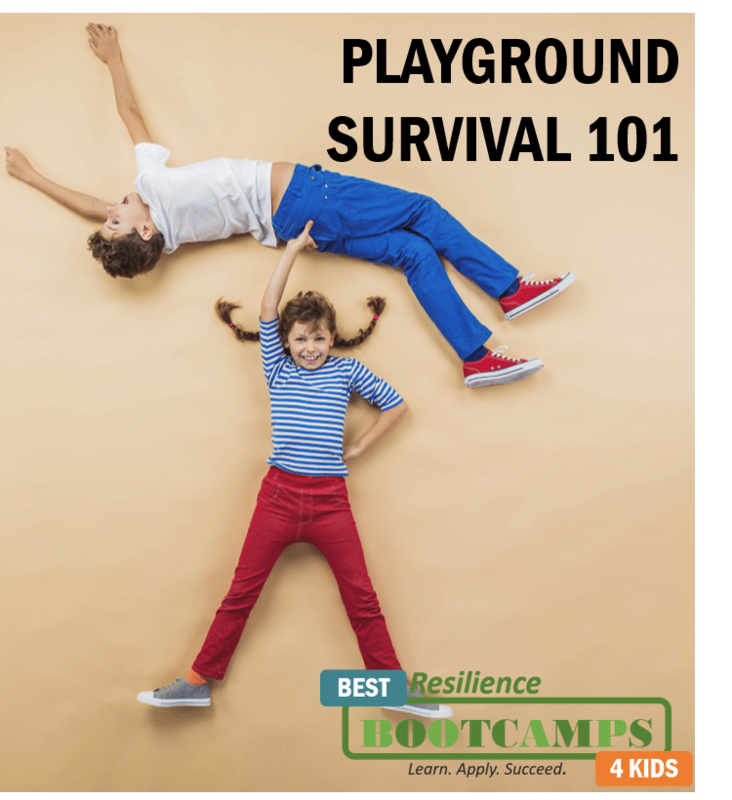 ‘Playground Survival 101’: Friends & fitting in; dealing with teasing, bullying… & all that stuff will be running in the July and Sept/Oct school holidays. Discussions, role plays, interactive exercises and team games teach specific skills that are the solutions to specific difficulties. This is THE social skills group that benefits all children – especially those needing a bit of social confidence and a skill top-up. Inclusion criteria apply. These are listed as terms and conditions of inclusion in the Playground Survival 101 REGISTRATION FORM which can be viewed by following the link. Please direct any additional queries to Helen Davidson by EMAIL or calling 0410 387 787 in business hours. ‘Emotional Intelligence 101’: Feelings, moods… & all that stuff will be running in the July and Sept/Oct school holidays. 10 hours’ fun-filled learning in a small group (maximum 10) program from Australia’s leading social and emotional wellbeing experts. Specifically written for children currently in school years 3 to 5 (aged 8 to 11 years). Discussions, role plays, interactive exercises and team games teach specific skills that are the solutions to specific difficulties. This is THE emotional self-regulation group that benefits all children – especially those needing a bit of practise managing those BIG feelings. 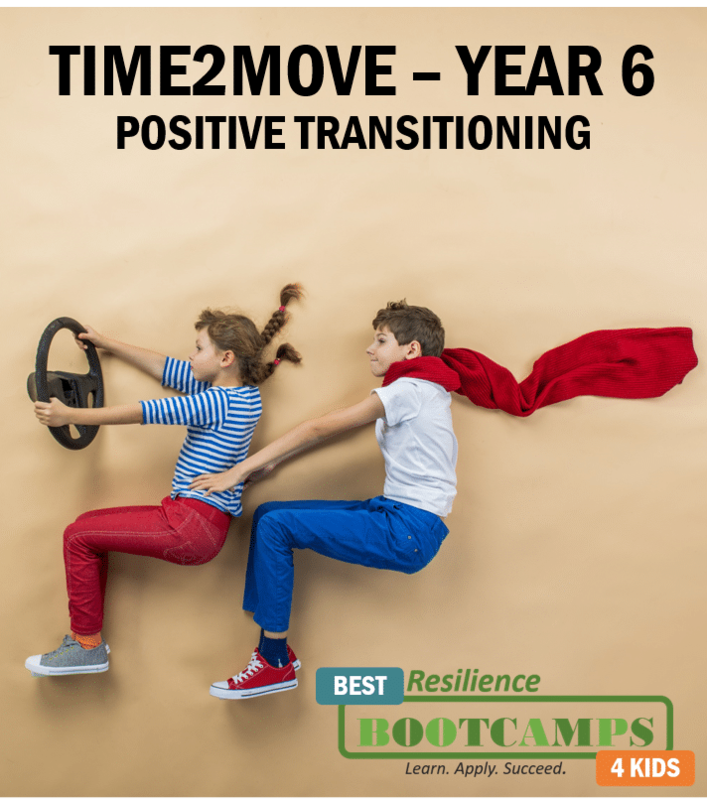 ‘TIME2MOVE’ Positive transitioning for Year 6’s only: Being Strong On-track and Succeeding will be running twice in the Sept/Oct school holidays. Discussions, role plays, interactive exercises and team games teach specific skills that are the solutions to stress and excitement associated with change. This is THE transitioning group that benefits Year 6 children – especially those needing a bit more support as they gear up for high school.